Rabat - In an apparent attempt to undermine Morocco’s stance over the Western Sahara conflict, Algeria’s pro-separatist Commissioner for Peace and Security Ismail Chergui submitted a controversial report to the African Union (AU) at the 30th Summit of African Heads of State and Government asking the AU to urge Morocco to make certain decisions that would be detrimental to Morocco’s sovereignty over Western Sahara. Rabat – In an apparent attempt to undermine Morocco’s stance over the Western Sahara conflict, Algeria’s pro-separatist Commissioner for Peace and Security Ismail Chergui submitted a controversial report to the African Union (AU) at the 30th Summit of African Heads of State and Government asking the AU to urge Morocco to make certain decisions that would be detrimental to Morocco’s sovereignty over Western Sahara. Chergui, who has been a political instrument of the Polisario to advance positions adverse to Morocco’s and the United Nations’ position on Western Sahara, has submitted a report to the 30th Summit of African Heads of State and Government, asking the Pan-African bloc to put pressure on Morocco to accept the return of the AU mission for Western Sahara to the Moroccan Southern city of Laayoune, a demand that Morocco has strongly denounced, according to Moroccan newspaper Akhbar Al Yaoum. 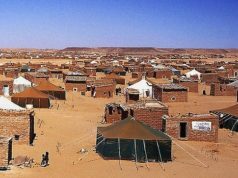 The report includes statements contradictory to the historical and current positions of the UN and Morocco and calls upon the AU to create a human rights monitoring mechanism in Morocco’s southern provinces. Akhbar Al Yaoum reported that while the written report was prepared by Chergui, the document was presented to the summit by Egyptian president, Abdel Fattah Al-Sisi. 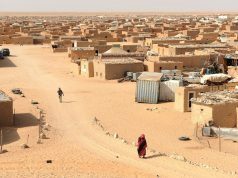 The report reprises a request originally made by the United States in 2013 proposing a Security Council draft resolution that encouraged the establishment of human rights monitoring mechanisms in the Sahara. 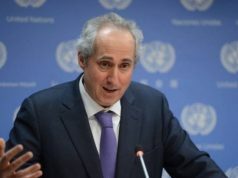 However, in the face of Morocco’s strong denouncement of the proposal, the UN Security Council rejected the US request. 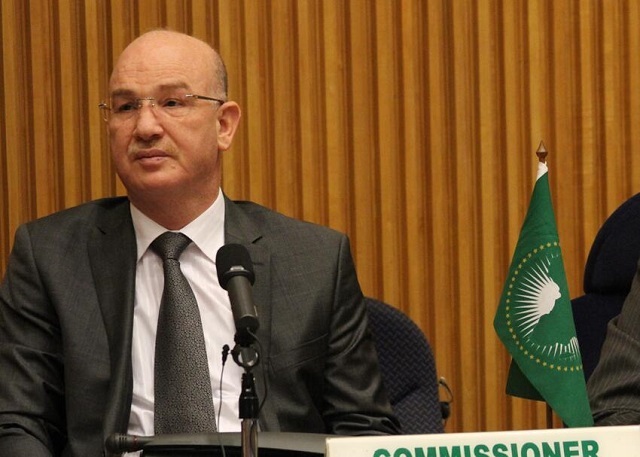 Chergui, whose attempts to undermine Morocco’s position before the AU were unsuccessful, also urged the AU to persuade Morocco no longer to host the Crans Montana Forum, currently held annually in Morocco’s southern city of Dakhla. 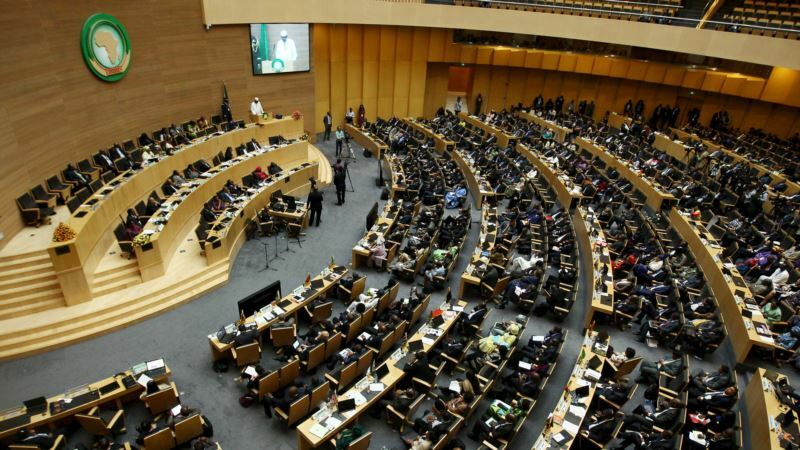 The AU is not required to vote upon the report nor are AU heads of state required to observe the report submitted, according to African Status. The last paragraph, numbered 119 in the report, contains statements that are more controversial than earlier statements, according to Akhbar Al Yaoum. 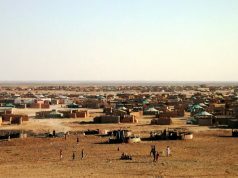 In paragraph 119, the Algerian separatist asks the AU to urge Morocco to accept direct negotiations between Morocco and the Polisario under the supervision of the AU and the UN. Morocco’s return to the AU last year is notable for several reasons including the fact that Morocco was voted onto AU’s Peace and Security Council on January 26. 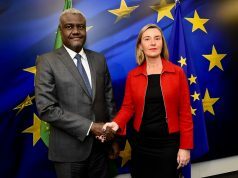 At the end of the summit, Moussa Faki Mahamat, the Chairperson of the AU Commission, said that the AU’s July 2017 decision, known as decision 653, regarding the Western Sahara conflict is still valid. Through Decision 653, the AU demonstrates its commitment and support for the UN’s process to find a consensual and mutually acceptable resolution of the conflict.